Why not COLORFUL cables? In our world every MP3 player, phone, laptop and other digital device has many options for colorful accessories that add personality to YOUR device. Lot’s of cases, earphones, speakers and more and they all come in various colors. All except the charging cable. They are pretty much always either white or black. My project is about to change that. Cables are everywhere, but they are usually ignored. They are on the floor, behind the couch, under your desk, in your car literally we are surrounded by cables. Yet in order to change the way we think, look and feel about a item or topic, we have to change our perception from the "what it is" to the "what it could be" mindset. MY idea: There has to be a personal reason for it. The cable will have to become an accessory, YOU have to feel connected to it. Colors are great for that. Most everyone has a favorite color, some even have 2 or 3 favorites. We have 3 iPhones, a iPad and a couple of old iPods in our house, so it was clear to me which cable was going to get its makeover: the good 'ol plain white 30 Pin to USB dock connector cable which has been around since 2001. JUICIES are refreshing the ONE last wire for your wireLESS device. I have spent the past four month researching, conceptualizing and tinkering with material and I found out that it is actually possible to make most of the cables we use from more sustainable ingredients. I am passionate about this project for two reasons: I love color and I love the environment! My colored cables make me happy because I know they were created sustainably. My cable makes my desk more colorful and adds some life to it, it starts conversations and allows me to express myself. It charges me! Juicies have the potential to start a sustainability movement in the world of cable manufacturing, tech products, electronics, mobile phones and accessories at large. From the raw materials that go into the cables itself right down to the packaging. Above is a mock up picture of the EXECUTIVE reward. Only two are available and it will be custom made. You can find out more about Kasey on her website. Thank you for viewing my project. Now go ahead, choose your pledge/reward level and and be one of the first people in the world to have the Juicies(t) most sustainable colorful cable experience. Are Juicies compatible with my old iPhone? 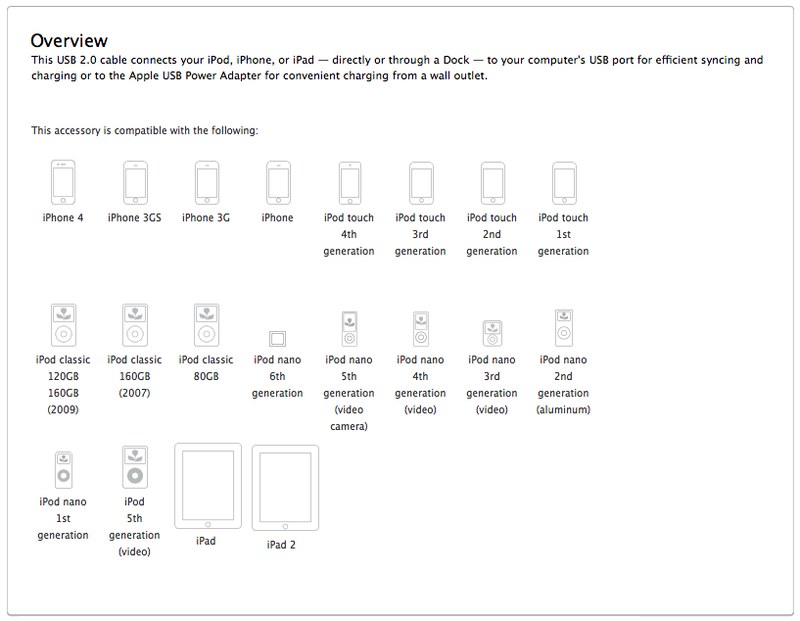 Yes, Juicies are compatible with ALL iPod, iPhone and iPad models that use the 30 Pin to USB connector. Will they work with my iPad2? Yes, fact is that Juicies will utilize the all new 2011 style 30 PIN connector. The connector corner clamps are at a slightly different angle. What are the colors? 1 - gray, 2 - black, 3 - purple, 4 - blue, 5 - green, 6 - yellow, 7 - orange, 8 - red, 9 - pink and 10 - mystery color :-) You can help to choose the final colors. Let me know what your favorite color is here on facebook. How long will your cables be? Juicies will be the same length as the OEM cable that ships with your device. 3 feet, about 100 cm. How are Juicies sustainable? Juicies will be made from a recycled/recycable content and come in either biodegradable or some other form of minimum impact packaging. When and where can I choose my favorite color? Once the project is completed we will send out a survey to all backers. In the survey we will ask you for your current mailing address, your color choice, favorite ice cream flavor, shoe size, relationship status....ooops. just kdn. you get the idea. How long until I can expect to have my Juicies? Well as per Urban Dictionary, all you have to do is yell "Juuuuuiciiiiies" in order to receive a Juicies. In our case manufacturing will start shortly after the project is over. The making and packing will probably take about 3-6 weeks. I am assuming that it will be another 2-3 weeks after that until they ship. So July or August? Not sure really. Will keep you posted about updates relating to this. Will Juicies work with my iPhone 4 without having to remove the bumper? YES absolutely. 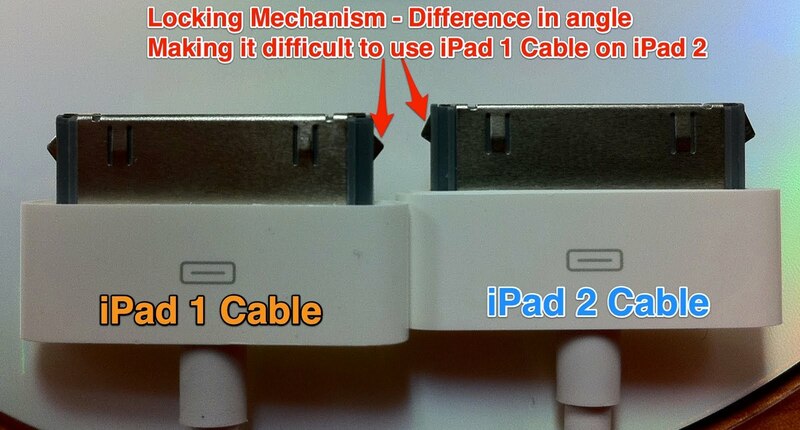 I had the same problem and therefore figured that it has to be the same dimensions or less then the original cable. All others currently available are too fat or thick. So again...YES Juices will work just like the OEM cable that shipped with your device. PAY WHAT YOU CAN. What is your favorite color worth to you? Every backer will receive a colorful cable, regardless of the amount they pledge, so long as the funding goal is reached. A fair retail price is probably around $19. The cost of shipping should be included in your pledge, pay whatever YOU think is fair. Shipping is worldwide. PROFESSIONAL PACKAGE. One cable of each color. You will get total of 10 colorful cables. Plus I will send you a box from Honolulu with a fresh hand picked pineapple. Hawaiian pineapples are most definitely the Juicies(t) around. US shipping is included. International please add $25 to your pledge. RESELLER PACKAGE. Pre-order a box of 50 Juicies, 5 of each color, packaged for resale. Perfect for all online shops and retailers that want to get first dibs. This is also great for budding entrepreneurs who want to sell Juicies themselves, and for people who want to get their birthday, anniversary, and holiday shopping done for the whole year with one purchase. Add $500 to your pledge for each additional box you'd like to order. Includes shipping within the USA. Add $25 for international shipping per box. EXECUTIVE PACKAGE. You are the CEO, you want all 10 colorful cables and you got some open space for contemporary art on your conference table. 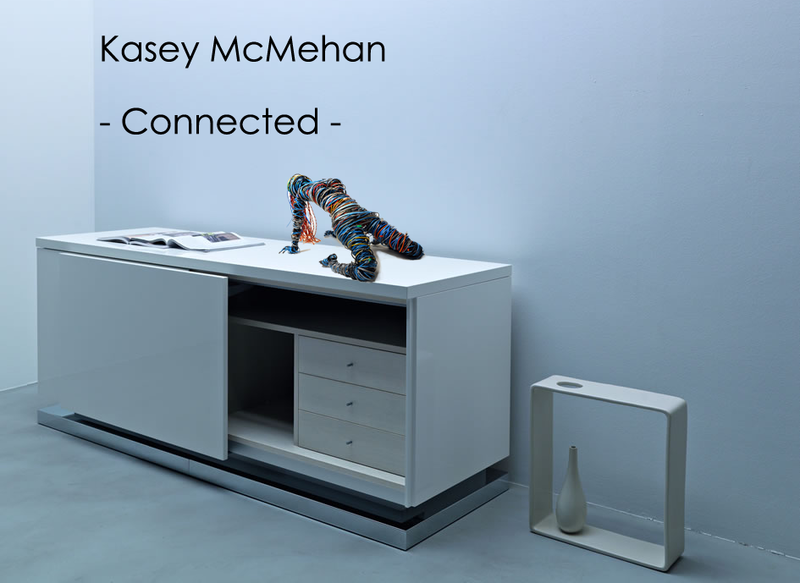 You will receive a custom made one of a kind small table top version of Kasey McMahon's contemporary art piece "Connected" the life size cable woman. Naturally this piece will be made from JUICIES. In some peoples eyes "La Femme Cablee" is one of the most important pieces of sculptural art of this most recent decade. It represents the current trend of our society, towards digitalization and the "always on" and "connected" way of life. International shipping included.